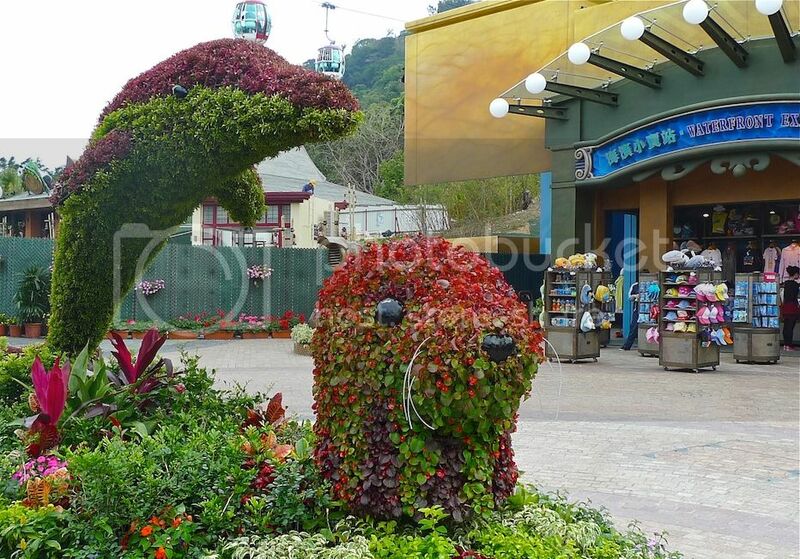 My friend and I visited Ocean Park during our second day in Hong Kong. After our yummy breakfast at Australia Dairy Company in Jordan, we took the MTR to Central Station in Hong Kong Island. From the station, we took a cab to Ocean Park, which was located at the southern part of the island. 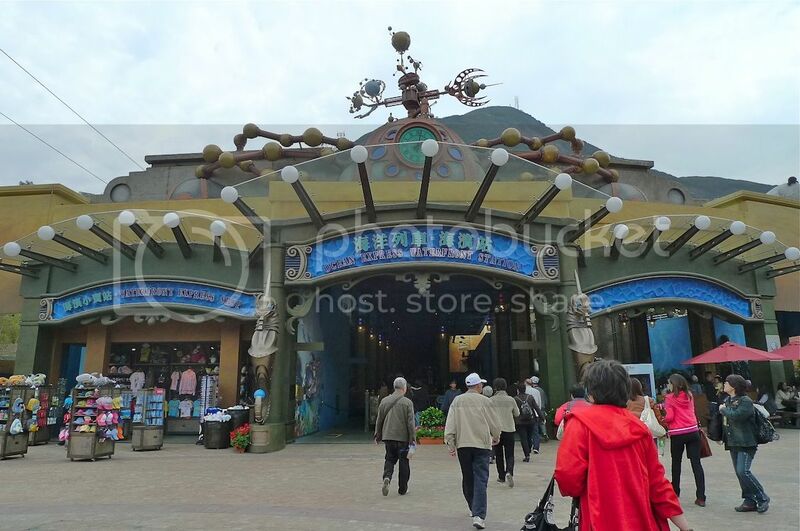 Ocean Park is divided into two areas - The Waterfront and The Summit. Both these areas are separated by a mountain. To get from The Waterfront to The Summit and vice versa, there are two modes of transportation - either the cable car or the Ocean Express train. I like those funny looking gadgets at the top of the train station! 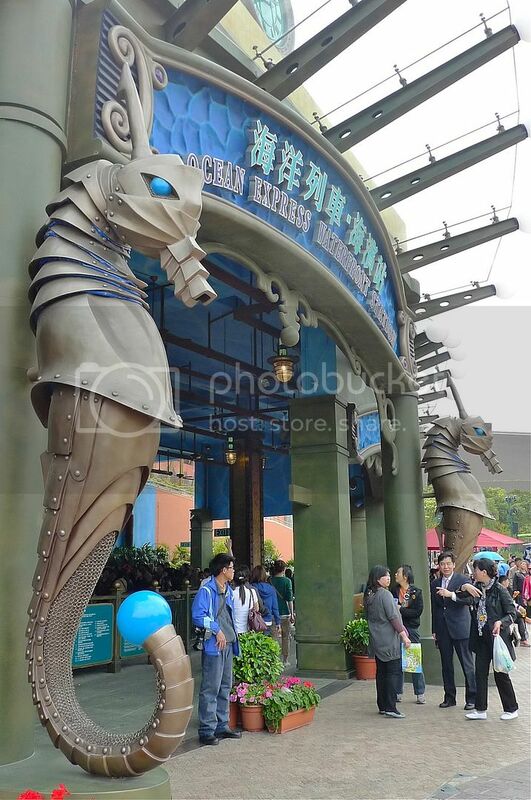 I also like the pair of seahorses guarding the entrance to the train station. We started our tour of the Ocean Park at the Waterfront. After visiting the Giant Panda Habitat to see the two giant pandas, we walked over to the Giant Panda Adventure to catch the red pandas. Unfortunately, we did not manage to see the red pandas - they were probably hiding somewhere! 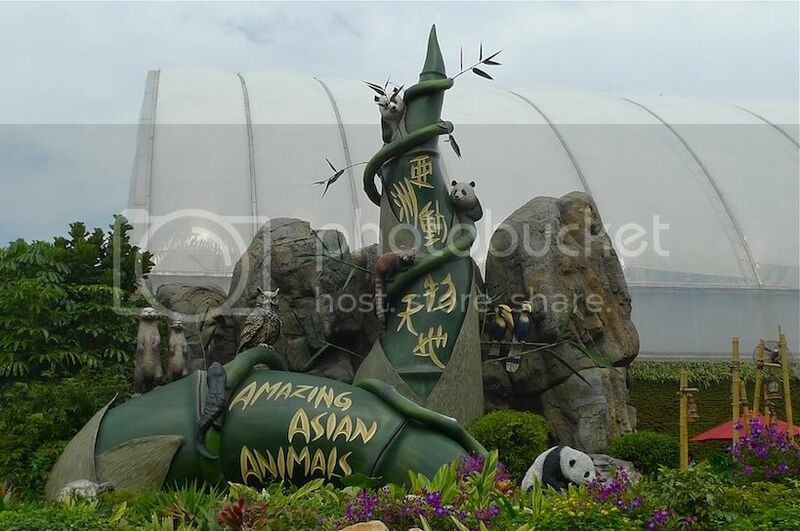 However, we managed to catch a few other animals at the Amazing Asian Animals! First, we visited the Gator Marsh. 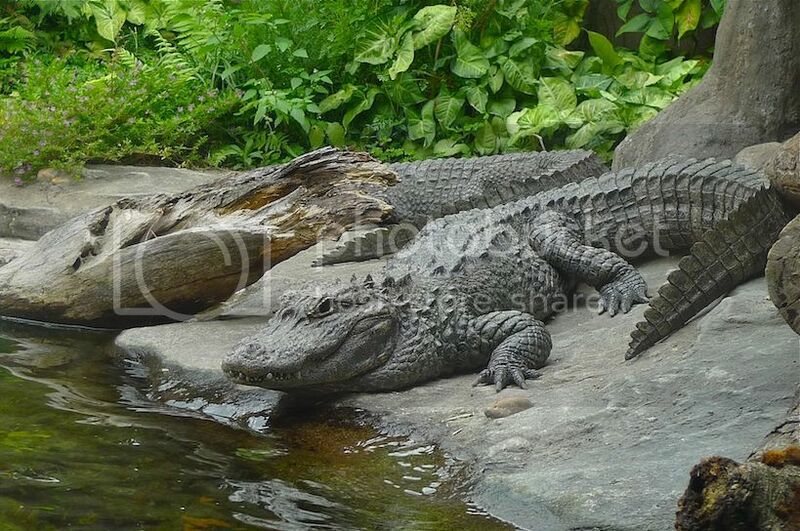 We saw some alligators. They came all the way from Yangtze River in China! 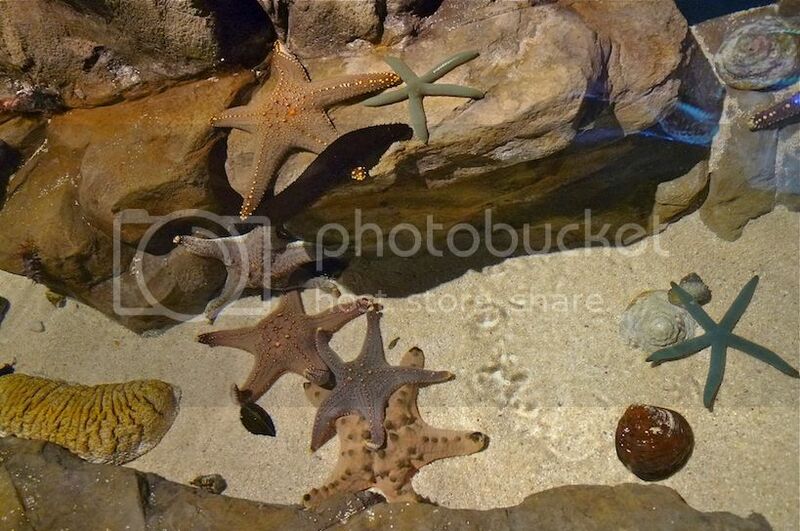 Then, we visited the Goldfish Treasures, which is like a museum for fish. 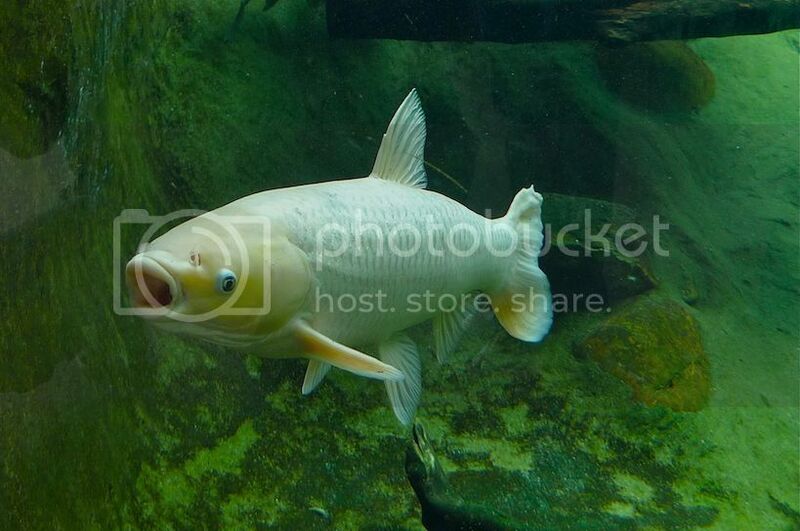 I snapped a photo of this big fish with its mouth wide open! 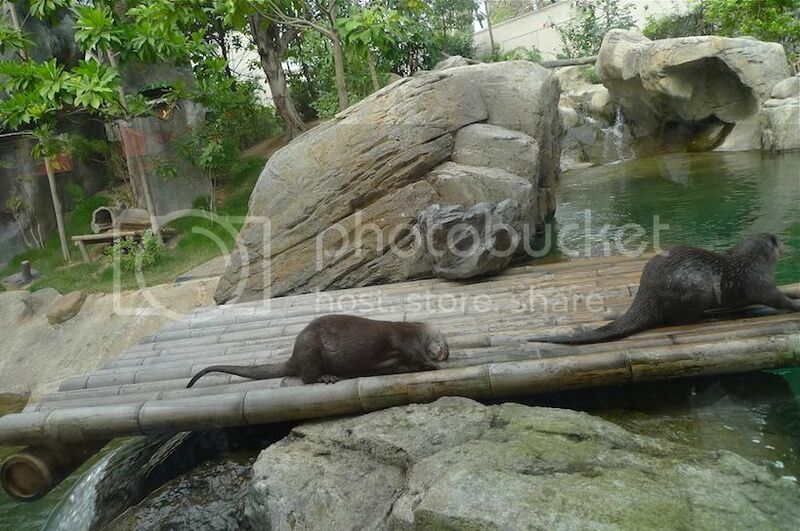 Next, we visited Panda Village and spotted some otters. I could not take a proper picture of them as they were actively running around! OK, this is the best picture I took of the two of them. Near the Amazing Asian Animals, I saw this. It looks like a submarine under the sea! 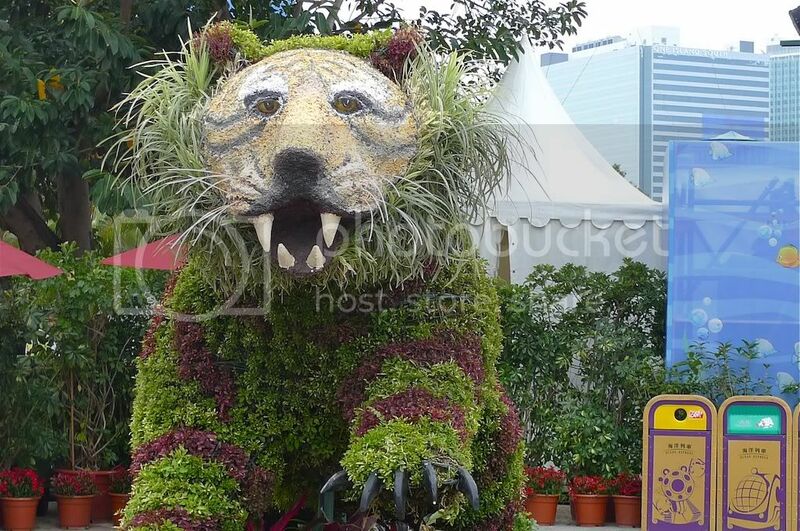 There were a few animal-shaped topiaries at the Waterfront Plaza. I saw a lion! Wait! 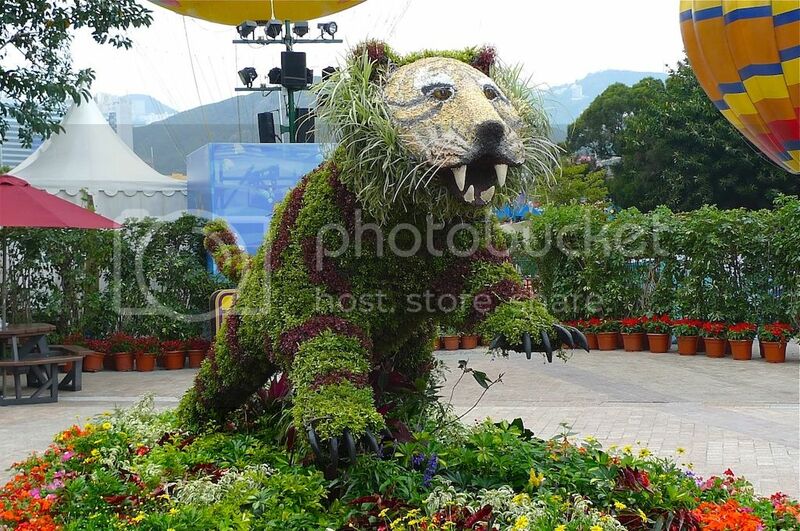 Is it a lion? Hands up if you think it is a lion! LOL! There's a dolphin and a seal too. 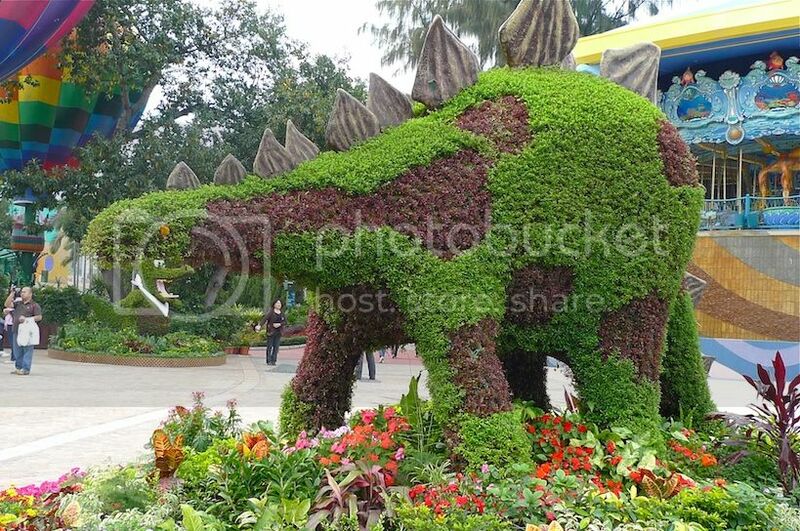 And a dinosaur as well! 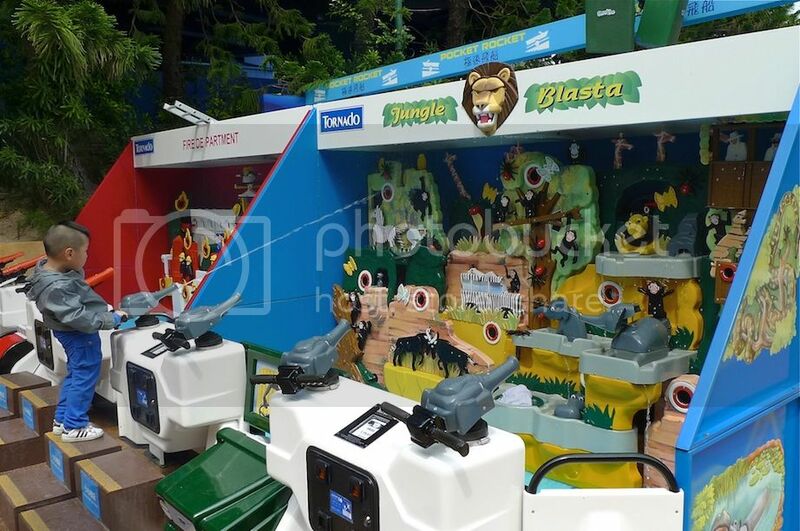 We came across games booths for children. Here I took a snap of a child shooting at his target. 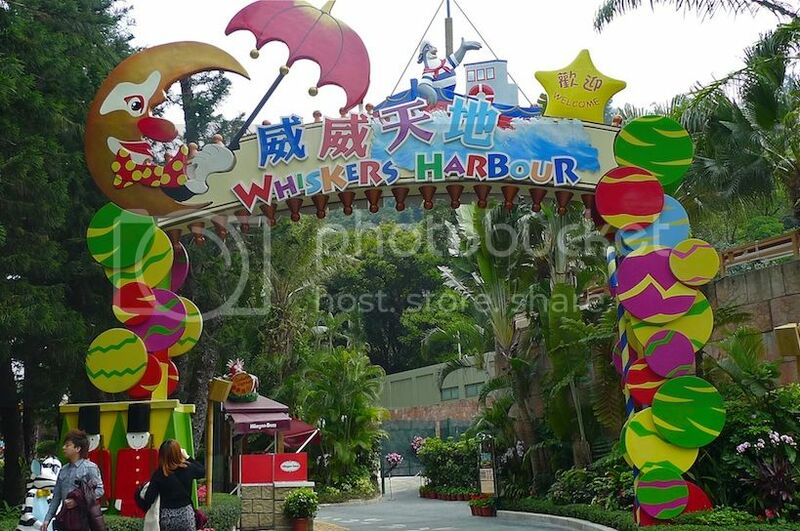 We wandered off further towards the Whiskers Harbour which is basically an amusement park mainly for kids. However, we decided not to enter the amusement park as there was not enough time. Besides, it's mainly for kids and we did not bring any along haha! 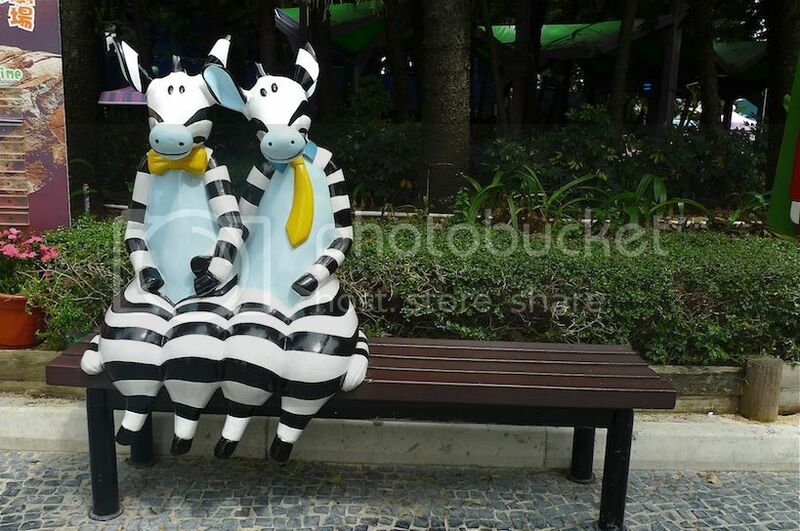 But I thought this pair of cows sitting on the bench near the entrance look quite funny, don't you agree? 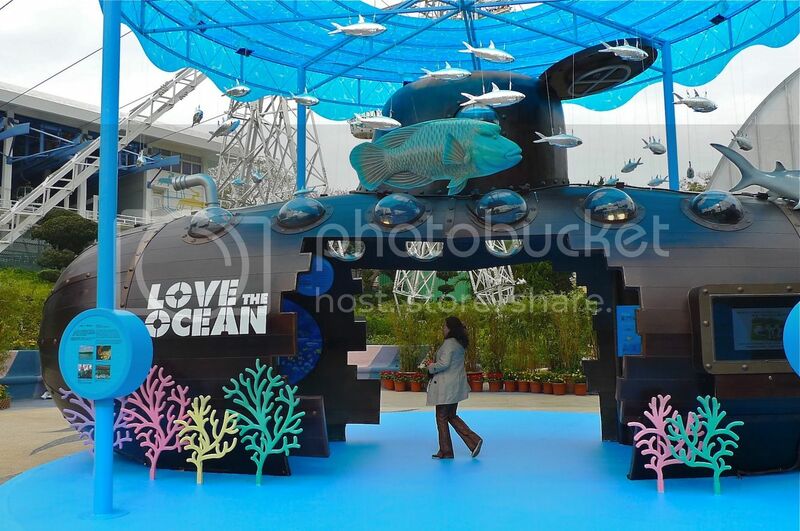 We then made our way to Aqua City to visit the Grand Aquarium. 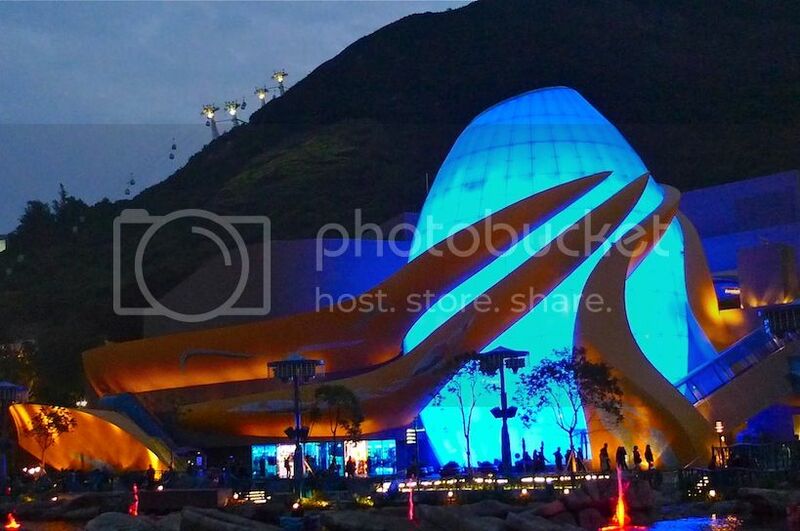 I forgot to take a picture of the Grand Aquarium in the daytime and only found this picture of it which I shot later at night. The building looks as if it is being held by the tentacles of a huge octopus! 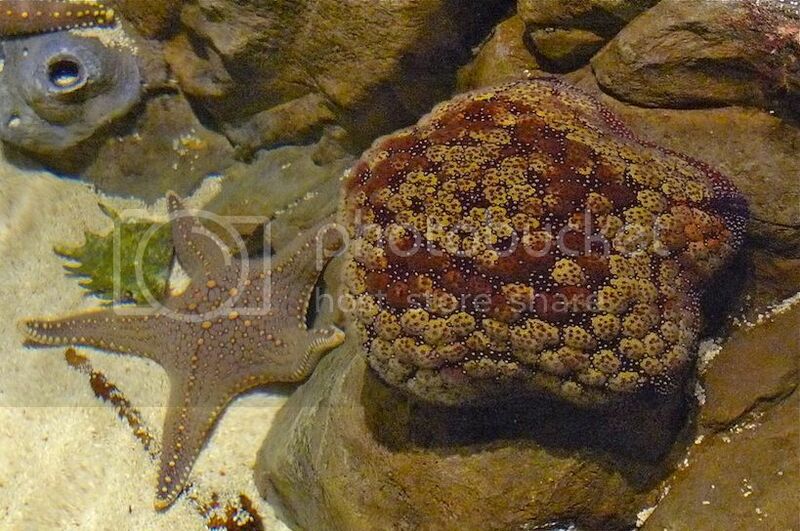 I did not take many pictures inside the Grand Aquarium as it was quite dark. Managed to snap these however. 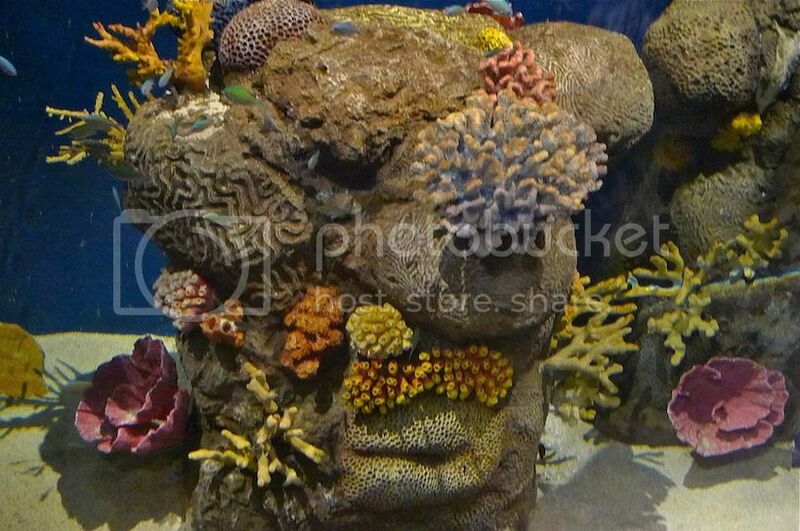 The coral tank with starfishes and corals inside. 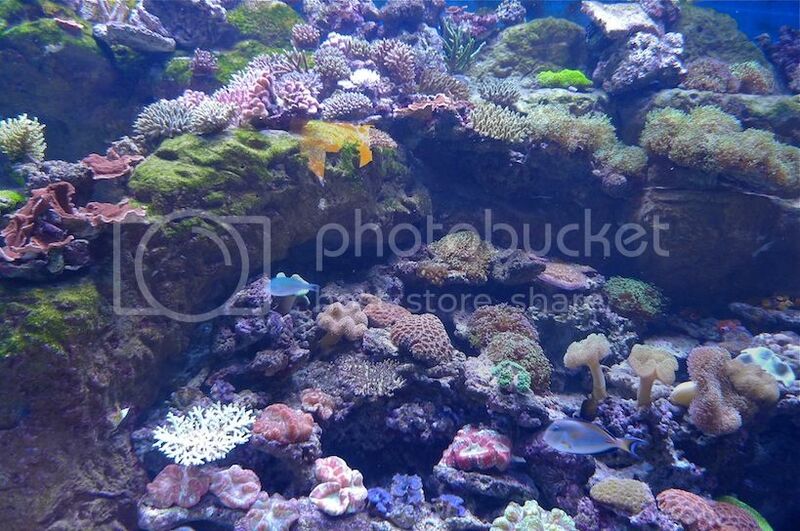 Another tank with beautiful corals. 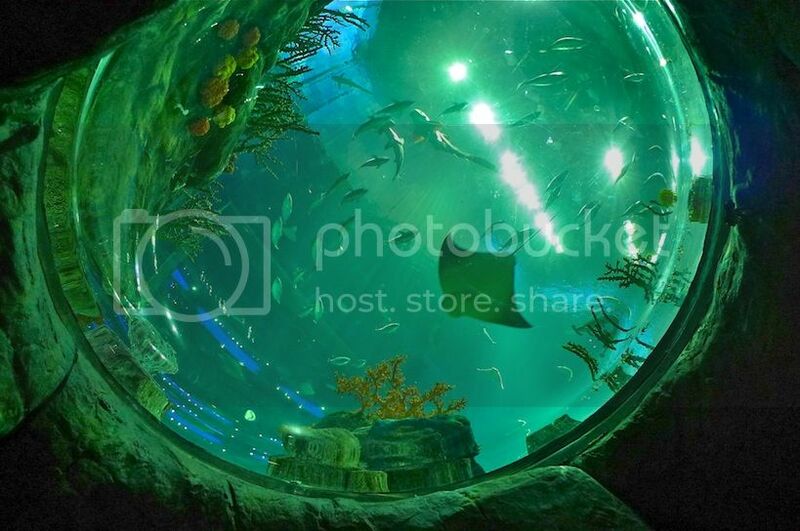 At one point inside the Grand Aquarium, we were under a gigantic tank. We looked up and saw this. It was actually quite beautiful! 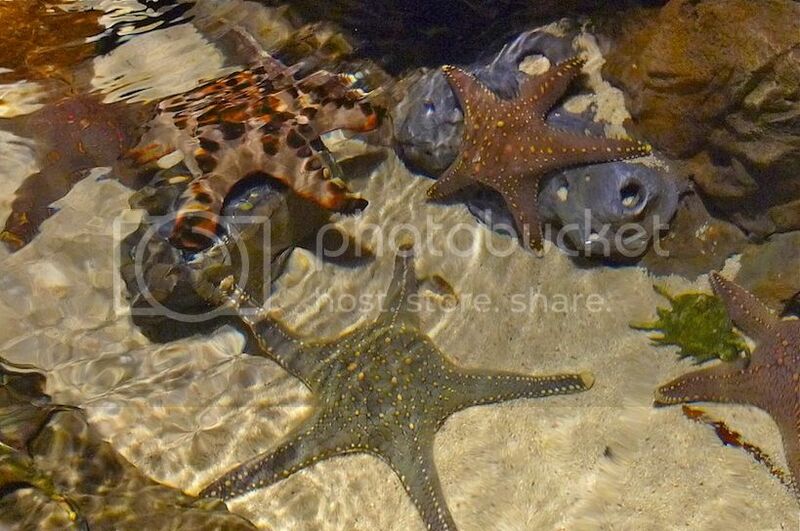 I stood there for a few minutes looking up at the fishes, sharks and stingrays that swam past. Most of the other photos just didn't work out so I would not post them here. After the Grand Aquarium, we walked over to the SkyFair where giant balloons hovered above us. 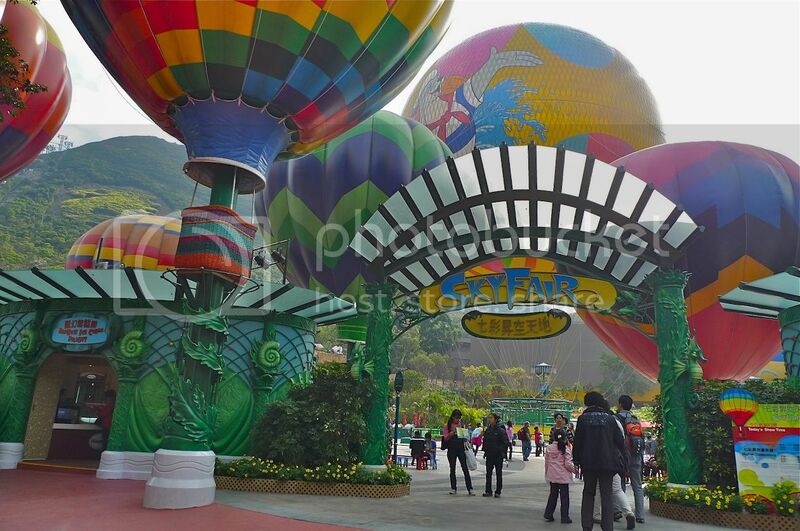 Here, you can take a ride in a helium balloon which would soar up to 100 metres above ground to enjoy the breathtaking views of Hong Kong! 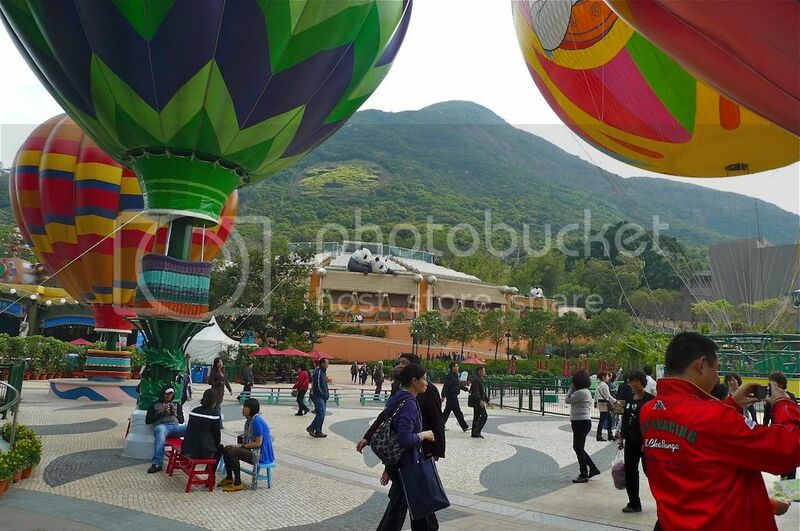 Of course, the balloon is tied to the ground and you won't be flying all over Hong Kong in it! Haha! 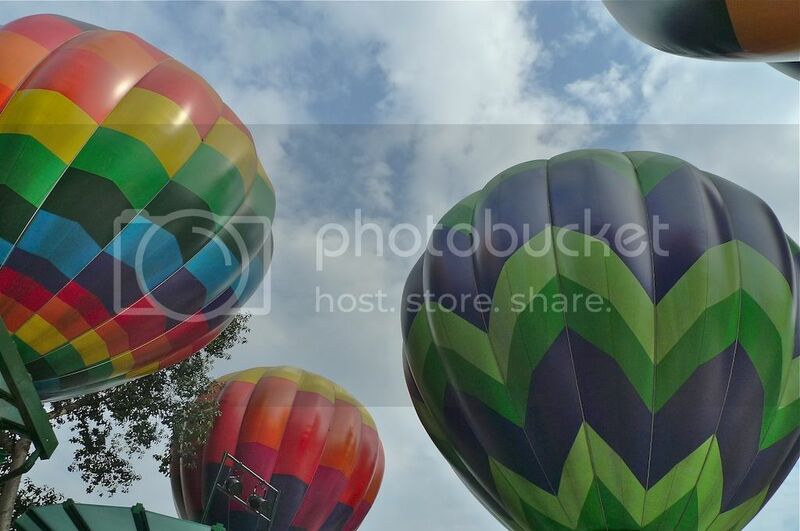 If you have rode in a hot air balloon at Malaysia's very own Putrajaya International Hot Air Balloon Fiesta, then you don't really need to sit this one! 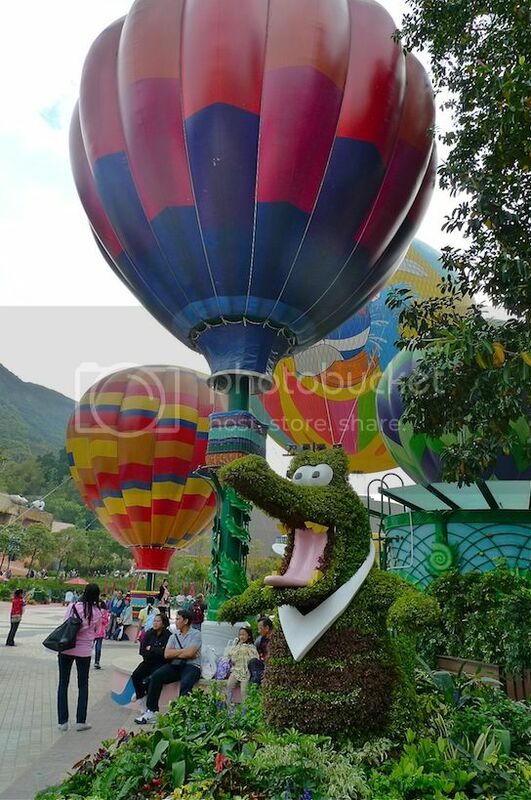 Although you can see a lot of balloons here, only one can fly up! The others are mere decorations. LOL! We did not sit the balloon as there was a long queue of people waiting to board it! So we just gave it a miss. Maybe I will try my luck next year in Putrajaya instead! Haha! 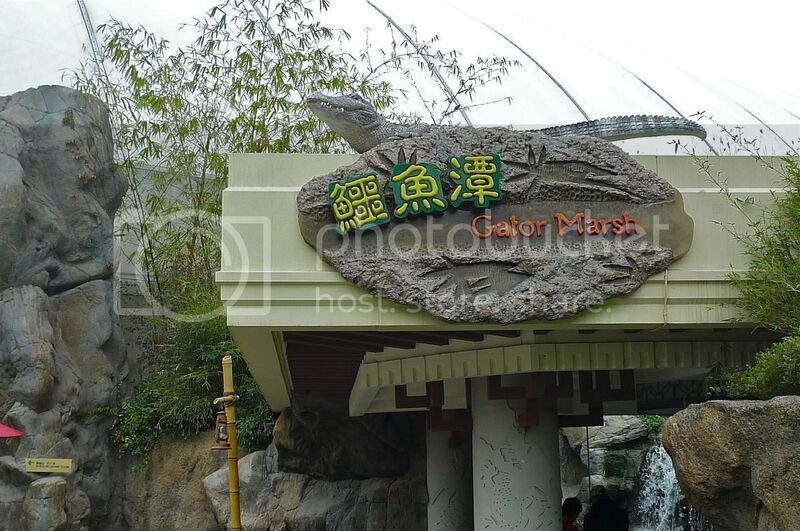 Due to lack of time, we did not visit many places at The Waterfront like the Emerald Trail, The Old Hong Kong, and we did not watch any live shows at The Amazing Bird Theatre. 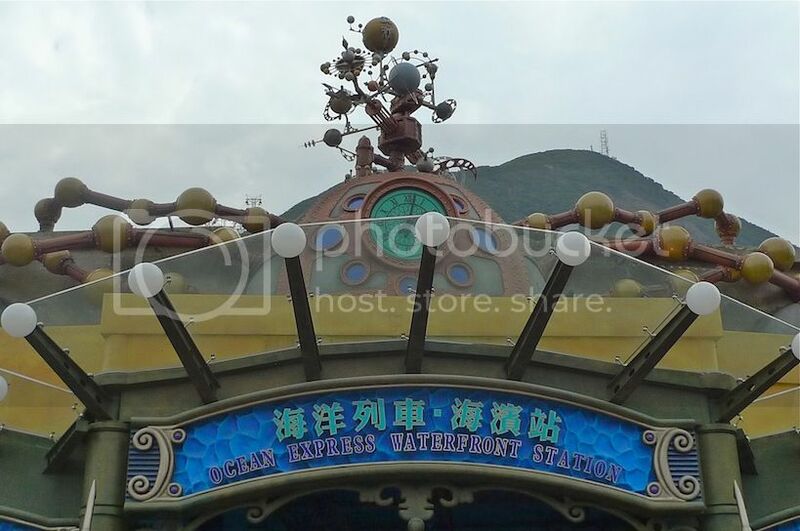 Which is a good reason to return to Ocean Park in the future! Half the day was already spent at The Waterfront, and it was time to visit The Summit. 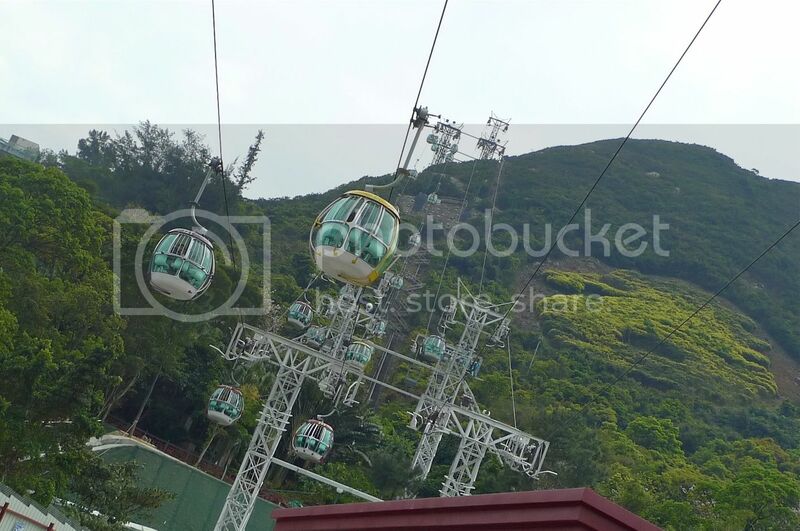 Now can you guess if we took the Cable Car or the Express Train up to The Summit?